A former Fermilab bison is right at home in its new CERN surroundings. Mr. Bison was reported to have said the move was worth it to demonstrate strong multi-institutional partnership. Fermilab’s future depends on strong, long-lasting ties to labs and universities around the globe. As nothing builds stronger cross-cultural bonds than foreign exchange programs, Fermilab has worked with its strongest partner, CERN, to start the first-ever lab mascot exchange program. 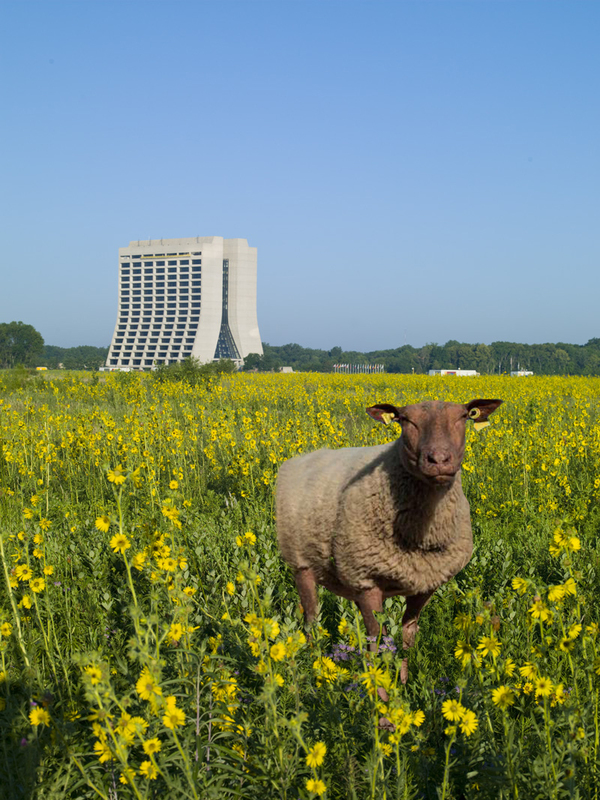 Sheep may safely graze in the Fermilab Main Ring infield, as this CERN import does. Bonus: They cut the grass. Fermilab and CERN will pilot the program starting in July, each sending an animal mascot to the other laboratory for a year. 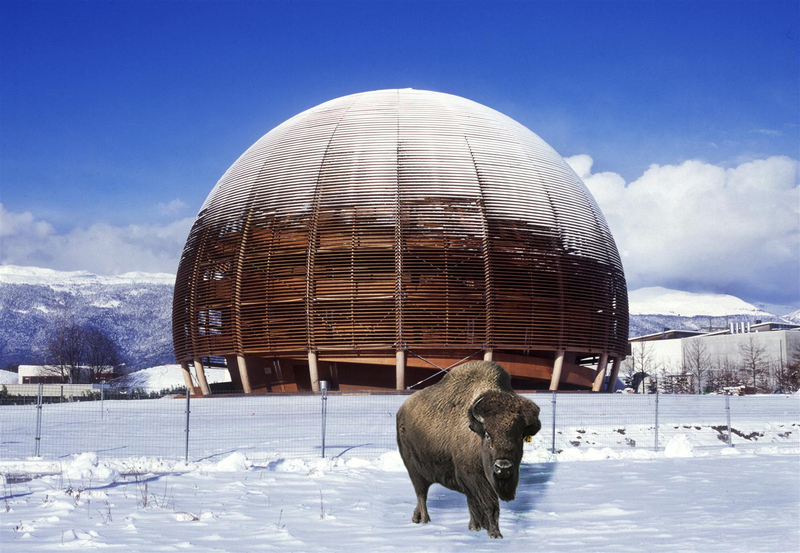 CERN will receive one of Fermilab’s native American bison, which will reside in a specially prepared pen near the Globe of Science and Innovation. CERN chose the highly visible location as a prominent symbol of cooperation between the labs—and to get some brownie points with the Geneva public. 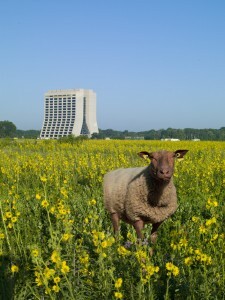 In return, Fermilab will welcome a <<rouge de l’ouest>> sheep from the herd that grazes at CERN. The sheep will move around the site during the year, wherever FESS determines the need for grass trimming is greatest. If the pilot program proves successful, the 2017-2018 exchange will include goats from Berkeley Lab and black bear from Kamioka Observatory in Japan.